Home promo	Mountain Hardwear Sale! – Don’t Forget it Ends Tomorrow! Mountain Hardwear Sale! – Don’t Forget it Ends Tomorrow! New Styles Added! Up to 70% Off Select Styles with promo code MHWSEPT270 at MountainHardwear.com! Not a fan of any of these styles? Head on over to the MountainHardwear website to take a gander at other fabulous deals! 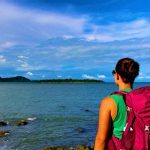 30 of My Favorite Backpacking and Travel Songs – Get ready to load up your IPOD! Mountain Hardwear End-of-Summer Sale Continues! 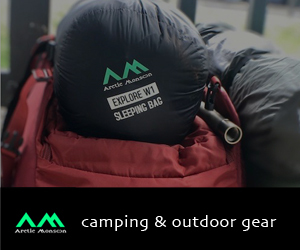 Mountain Hardwear End of Summer Sale! I love the women’s stretchdown jacket, I like that design. I even like the color and I usually stick to the same boring black colors. It looks like it is nice and thick but not too much so that you can wear it under your backpack without it being uncomfortable. Does it come in different colors? Yes, it sure does. The pictured color is Stone Green. But the jacket also comes in Spruce Blue and Scarlet Red. These jackets look great! and the price is awesome! Do you own one too? If so how do you like it?